Want to avoid laboratory-created, genetically modified organisms? October is Non-GMO Month – the ideal time to follow the Eat GMO-Free Challenge and learn how to remove GMOs from your diet. A few years ago, I realized that general GMO avoidance guidelines aren’t enough for most people who want to stay away from genetically modified foods. 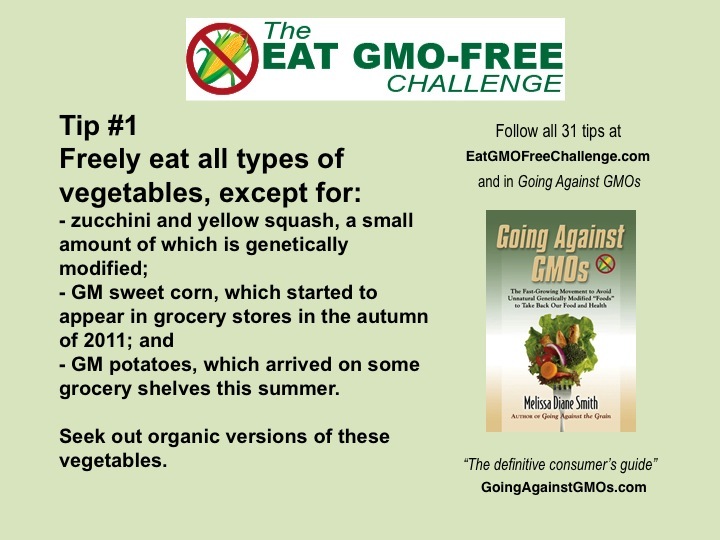 That’s why I created the Eat GMO-Free Challenge—a series of tips to follow each day for 31 days to help people slowly learn how to remove sources of GMOs from their diet (no matter what type of diet they follow!). Oh, My Aching Head and Tingly Toes! Q: I get frequent bad unexplained headaches. Some of them are debilitating migraines. I’m also often depressed and have other baffling symptoms such as problems with balance, and tingling in my feet and toes (my physicians told me this is peripheral neuropathy). I have seen many doctors and they say they can’t find any reason for my chronic headaches or other symptoms. Is there any kind of nutritional treatment that might help? A range of dietary factors—from regular consumption of aspartame artificial sweetener to eating foods that contain monosodium glutamate—can trigger headaches. However, one of the most common yet least-known ones is sensitivity to gluten, the problematic protein found in wheat, rye, and barley. The other maladies you list also have been associated with gluten sensitivity. 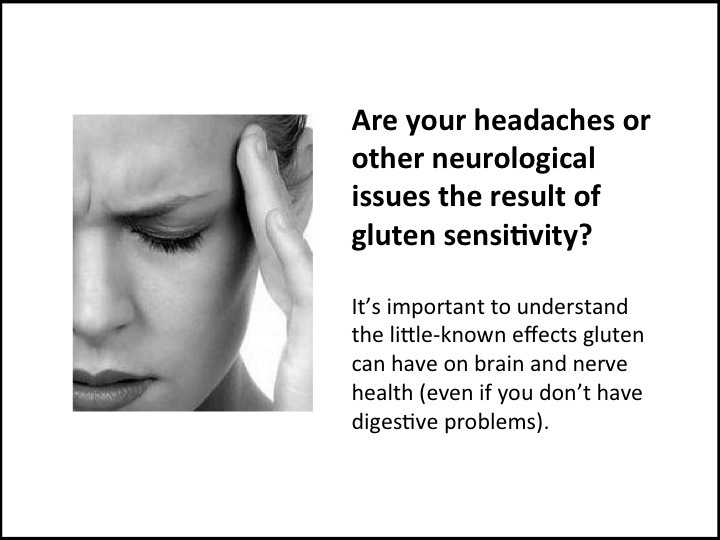 Unfortunately, many doctors—including neurologists—aren’t up-to-date on research in this area, and thus aren’t aware that neurological symptoms are often linked to adverse reactions to gluten. 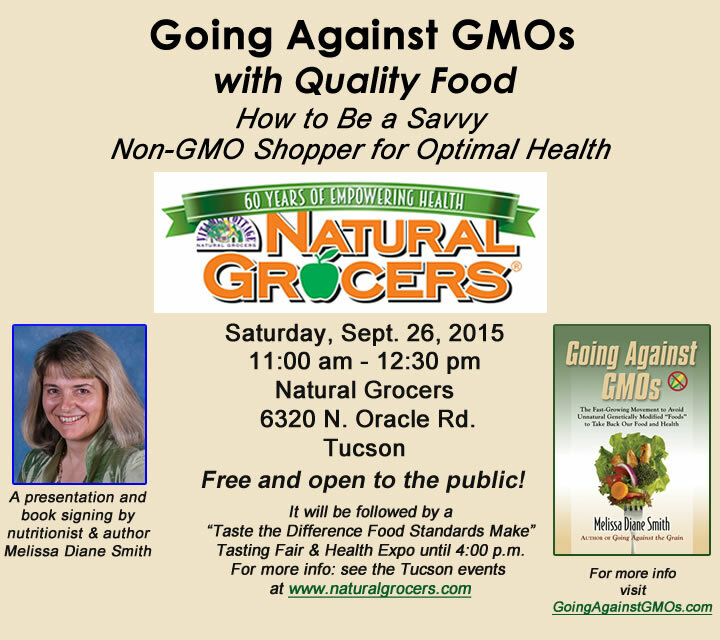 Be sure to catch the “Going Against GMOs with Quality Food” special event on Saturday, September 26th, at the new Natural Grocers store at 6320 N. Oracle Road in Tucson. It will feature a presentation by me, Melissa Diane Smith, starting at 11 a.m., followed by a Taste the Difference tasting fair at which you can sample the higher quality non-GMO foods Natural Grocers offers.